Join us at the first Propeller Fund application info session for the 2017 grant cycle at Roman Susan in Rogers Park. 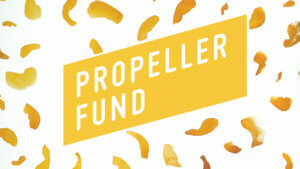 Propeller Fund grants $50k a year to public, collaborative, and artist-led projects and initiatives in Cook County. Information workshops give tips on how to write effective proposals, craft budgets, and navigate the online submission for Propeller Fund for the August 5 deadline. See the Propeller Fund 2017 Application Brochure for additional details.